Remember the Nokia Paragon teaser? Well, Bob Freking finished the concept and you can check it out below, as it has some impressive goodies. Those include Android with Nokia UI on top and a huge battery life. Also, guess what… the phone is indestructible. Nokia Paragon features a 4.5 inch ClearBlack AMOLED PureMotion HD+ display with Full HD resolution and a 1.8 GHz quad core Snapdragon 800 processor. It has the Adreno 330 GPU, 2 GB of RAM and a 21 megapixel Pureview camera with Full HD video capture. We also get excellent low light capture, image stabilization, lossless zoom and more. There’s a 1.3 megapixel front facing camera with 720p video capture and Android 4.2.1 as the OS. 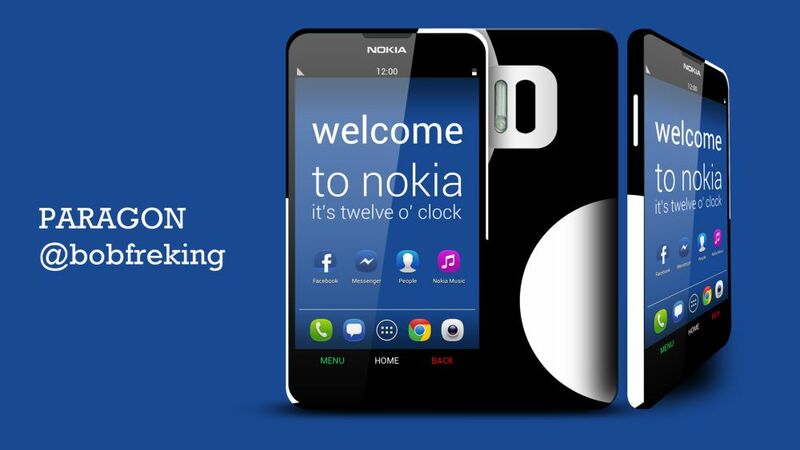 This Nokia Android phone features a specific Nokia UI that somehow reminds me of that OS on Nokia Asha 501. We get Nokia Music on it, Here Maps, Cinemagraph, City Lens and all the goodies typical to a Lumia. This concept relies on a 3,500 mAh non removable battery, that should provide about 3 days of use. By the way this device does wireless charging and is virtually indestructible. The design is very well thought and although the case is pretty wide, there’s a certain elegance to this Nokia concept.